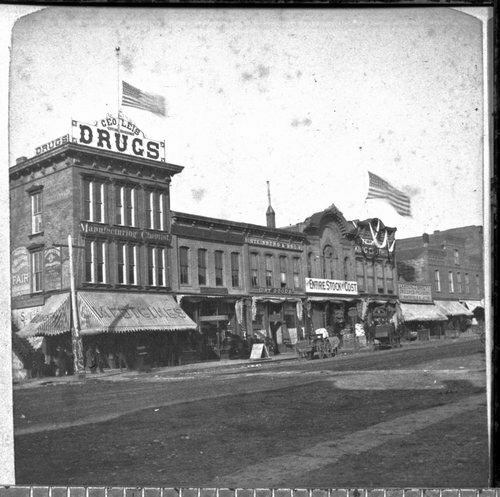 A photograph showing businesses along the west side of the 700 block on Massachusetts Street in Lawrence, Kansas. The first building on the left houses Geo. Leis Drugs. The second building is a bookstore. The third building on the left is Steinberg & Bros. Dry Goods.